OK I’ve been a bad blogger lately, but now that the holidays are nearly behind us I promise to make it up to you. I’ve got lots to share! I recently traveled to Nashville to spend some time with my friend and super-talented photographer, Michael Howard. It was a great few days chock full of photo geek speak and adventures. The main purpose of the visit was to shoot alongside him at one of his weddings, but we threw in an impromptu Howard family photo shoot, and one of the highlights of the trip: an underwater fashion shoot. Michael was nice enough to arrange for a shoot during my time there, as I expressed interest after seeing the gorgeous images he’s been making this year after he made the dive (wah wah wah) into underwater work. It was quite the production, and very challenging to say the least. It feels like you’re learning how to shoot all over again; fumbling with the over-sized buttons on the underwater housing and struggling to hold your breath long enough to capture just one more frame. It was demanding on the models as well. They were accomplished swimmers, but it’s a whole new ballgame when swimming draped in that much fabric, and keeping your eyes open in a chlorinated environment. 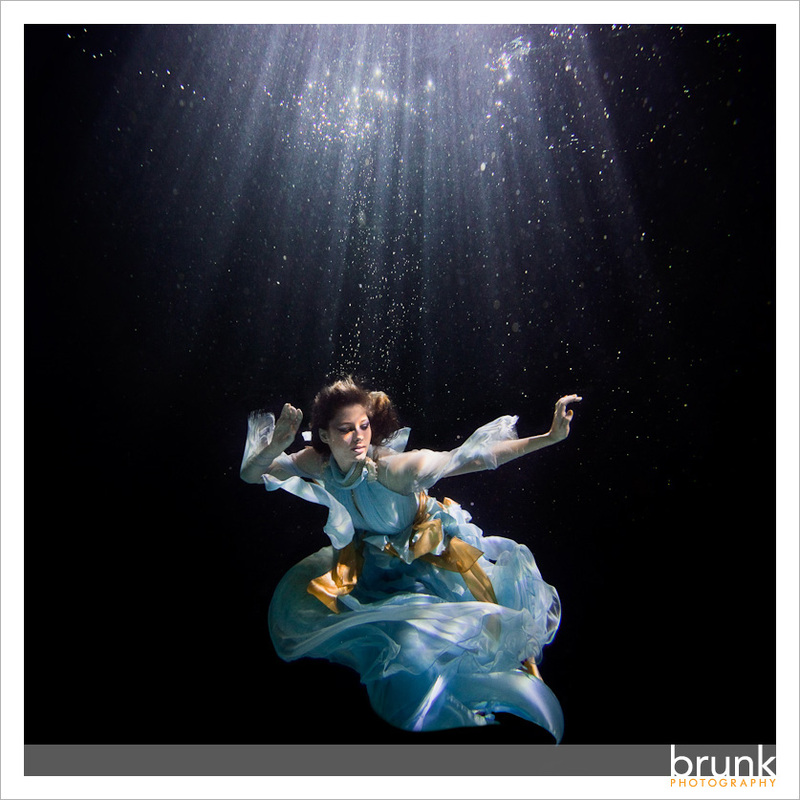 In the end, everyone grew more and more comfortable with what it takes in order to pull off a dramatic underwater image, and there were some amazing images as a result! I have no idea if I’ll want to take a try at underwater imagery myself, but if there are any brides out there looking for something unique and a little over the top, and are as comfortable in the water as they are on land, I couldn’t think of anything better than this! Thanks again to Michael for being a gracious host and to the super hardworking models, Lisa and Rachel. Michael Howard - Love this image Cliff! Thanks again for coming out! I had a great time hanging out and working together. Hopefully we’ll be able to come out your way soon. If you need a 2nd shooter sometime let me know! Cliff - Thanks Michael! I had a great time too! It was a dangerous shoot though, you’ve got me looking at underwater housings now. 🙂 I’d love to have you come shoot in SF sometime, I’ll let you know!